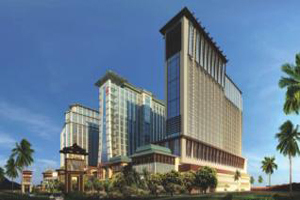 The 3,863 room Sheraton Macau, operated by Starwood and the hotel group's largest hotel in its portfolio, is set to open in September this year. Located in the centre of the Cotai Strip, the hotel forms part of Macau’s newest fully integrated resort complex, Sands Cotai Central. Set over two towers, the property has a pillar-free Grand Ballroom and six smaller ballrooms, alongside other meeting spaces.